With 96 years' experience of serving travellers, Nuance is one of the world’s leading travel retailers serving more than 31 million travellers every year. Our role is to enhance customer experience in travel retail wherever and whenever possible. We do this by putting consumers at the heart of our business. We want to create a sense of excitement and anticipation for passengers when they are travelling through the airports. Our 300+ shops – duty free stores, brand boutiques and concept stores – in 19 countries and territories across the globe offer enjoyable shopping experience inviting consumers to discover our attractive offers. 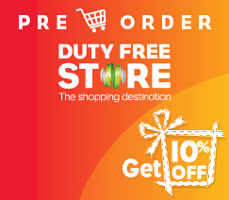 To learn more about Nuance, the owner of The Duty Free Store, please visit www.thenuancegroup.com .